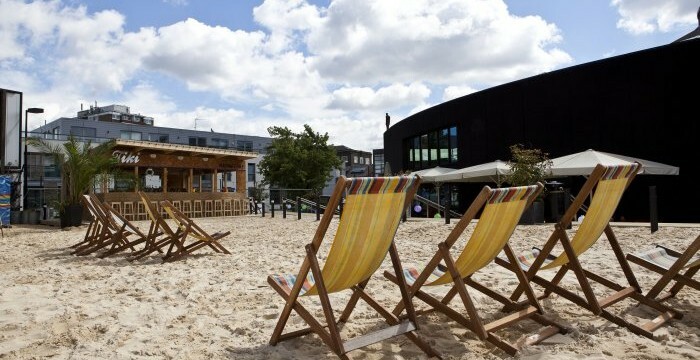 Just a hop, skip and jump away from West Hampstead this August you’ll discover the Roundhouse’s Camden Beach. 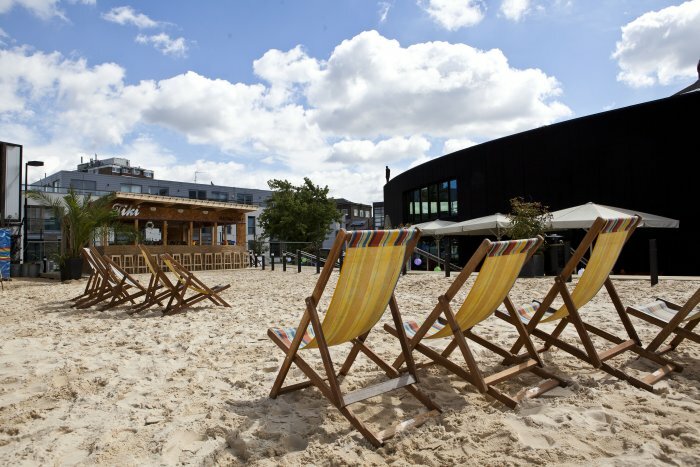 Think 900 square meters of the finest sand, rooftop gardens, beach huts and deck chairs… if you can’t get to the beach, the beach is coming to you. 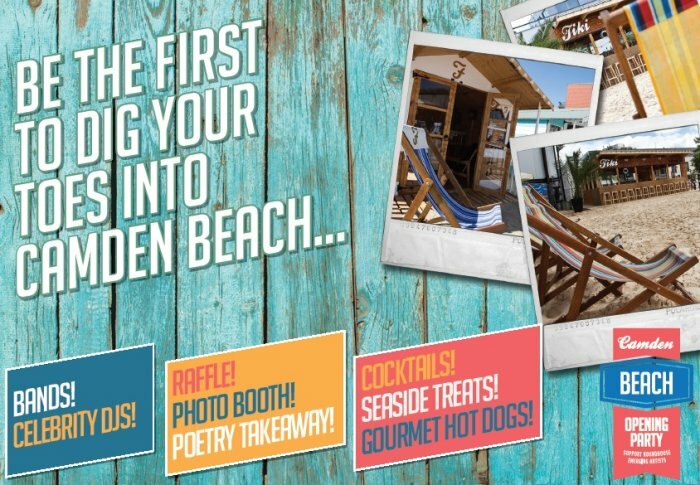 If you fancy being the first to dig your toes into the sand then why not head to the Camden Beach Opening Party on Friday 25 July and enjoy an unforgettable night all whilst supporting your local charity? The Roundhouse has played host to music legends such as Paul Weller, Prince and Elton John. What fewer people know is that the Roundhouse is a charity that improves the lives of over 3,000 young people each year by providing space, mentoring, equipment, projects and performance opportunities to unlock their creative potential. 45% of these young people are from the local area, and 60% of these young people are facing a social and economic disadvantage. The Roundhouse is hosting this party to raise vital funds so they can continue to provide life-changing opportunities for people like BoDee. The evening will feature DJ sets from Roundhouse Ambassadors Eliza Doolittle and Lliana Bird, performances from Roundhouse Emerging Artists, and a whole host of surprises on the night. Tickets start from £55 and include drinks, food, entertainment and access to the after party: so grab some friends, book now and feel good while you party this summer.